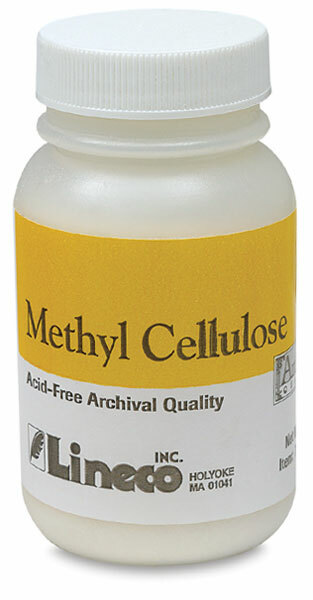 When dissolved in water, methyl cellulose powder produces a liquid adhesive which has neutral pH, is nontoxic, vermin proof, does not decompose, and dries clear. Use it for paper repair, hinging, bookbinding, and general archival adhesive applications. It’s easily reversed with cold water.